We can source a complete range of new and quality used attachments to suit all your needs. Refer to the below for a selection of the types of attachments we offer. Please contact us with any specific attachment requirements. 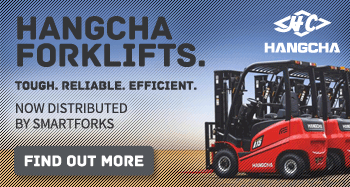 Extend the versatility of your forklift. Designed for ease of operation with slim profile. Slippers used for general usage should be no longer than 150% of the supporting tyne’s length. Converts your fork into a drum handler. Lifts, transports and deposits drums without leaving the driving position. Available in one, two or four drum configurations. Converts your forklift instantly to a crane. Simply slip forks of your forklift into fork pockets of jib boom and attach safety chain to truck mast. Jibs are ideal for handling heavy loads that cannot be readily palletised. Suitable for fabric, cable and coil products. Constructed from high tensile steel and available in Carriage Mount or Fork Mount Attachment. This attachment is drive-in/drive-out on to the forklift or tractor forks and a set of quick-connect hoses is provided for quick and easy hydraulic connection. It is ideal for part-time use on any forklift. Work platforms are designed to safely carry out tasks of “short duration” and “occasional usage”, such as maintenance or stocktake. 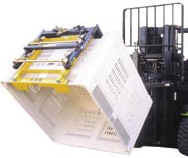 Buckets allow for fast connection to the lift truck. With the backwards tipping action these buckets are able to be used as tip-up bins for waste handling or for excavation and transport of loose material. Hoppers are designed to dump safely from any height. They are precisely balanced to tip forward for complete discharge of contents and return to an upright position. For wet or dry use.